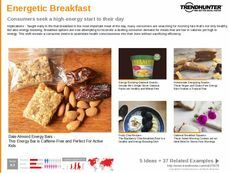 Find Better Ideas, Faster ® with a custom pancake trend report, our PRO Dashboard and 80+ categories of premium trend reports. The Pancake Trend Report uncovers the most delicious pancake trends and innovations. 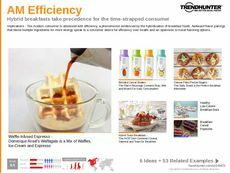 Some of these include trends in pancake ingredients, flavors, toppings and interesting flavor combinations. Also, healthy pancake recipes and pancake alternatives will be explored. 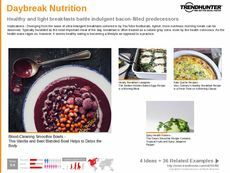 This report will also see how the most successful restaurants continue to use pancakes on their menus and how this classic breakfast fare is constantly reinvented. This report is ideal for professionals in the restaurant industry, individuals working in food manufacturing, chefs, marketers and advertisers. 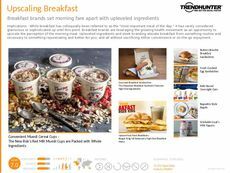 By examining trends in the world of pancakes, this report will reveal larger food patterns while examining new and niche flavor innovations. 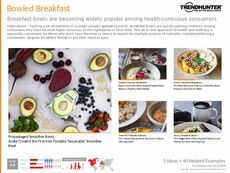 Use Trend Hunter's crowdsourced data to learn more about the latest pancake trends and changing consumer preferences regarding the traditional breakfast dish.